Tomorrowland was one of the original lands at Disneyland in California when the park opened in 1955. Walt Disney intended it to be a place where visitors could experience a fun and exciting look at what the future might hold for humankind. Unfortunately, it's proven to be nearly impossible to keep Tomorrowland on the cutting edge of tomorrow, for both practical and logistical reasons. 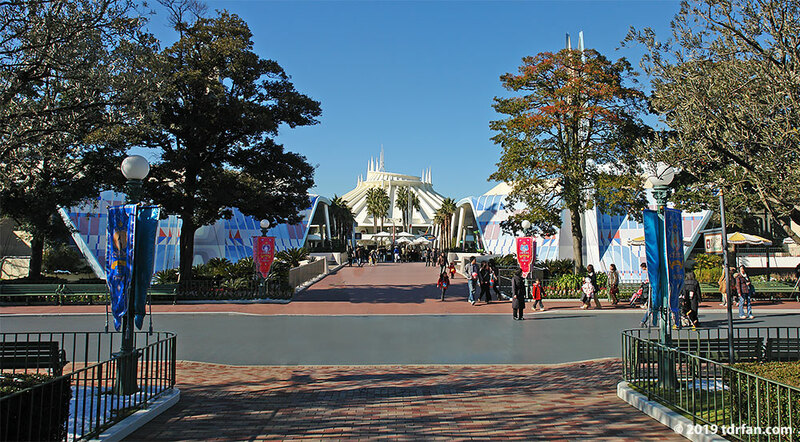 Tokyo Disneyland's Tomorrowland has also suffered from this fate, and now might be more accurately called "Todayland." Although Tomorrowland isn't quite the land of tomorrow, it does hold some of Tokyo Disneyland's biggest attractions including Star Tours, Space Mountain, and MicroAdventure! It's also the home of Showbase, which features some of the most insanely popular live shows at Tokyo Disneyland. My favorite place in Tomorrowland is not an attraction though, it's a restaurant: the Pan Galactic Pizza Port. Thematically, Tomorrowland is nothing to get excited about. The atmosphere is pretty ordinary, certainly nothing like you'll find in Adventureland or Toontown. There are no people-movers or monorails whizzing by overhead (even the Skyway has been closed down now), and it just does not have the feel of a fast-moving world of tomorrow. 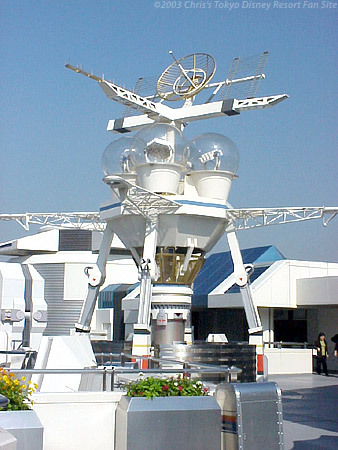 There is a new attraction coming in 2004 that should spice things up a bit in downtown Tomorrowland: Buzz Lightyear's Astro Blasters. If the Tokyo Disneyland Imagineers manage anything close to the quality of their last hit, Pooh's Hunny Hunt, it should be something to look forward to.